Stop the Accusations. We Need a Different Approach, Now!! 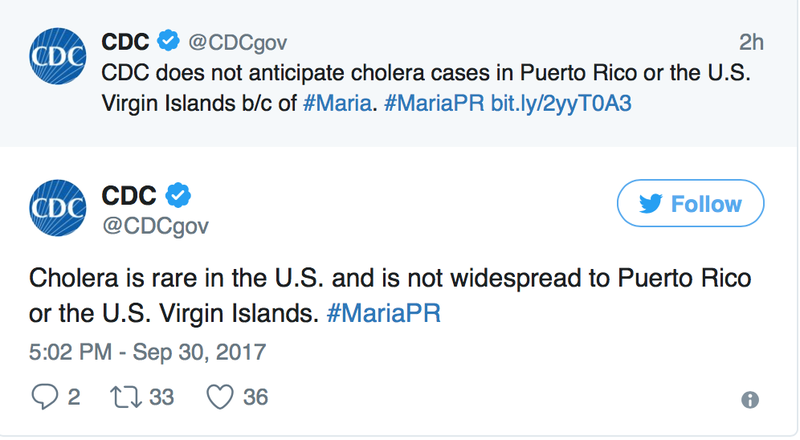 The amount of nonsense on Twitter and Facebook today with regard to Hurricane Maria and Puerto Rico is becoming nonsensical (pun intended). Now, it is being charged that PR didn't have enough warning. Let's review. 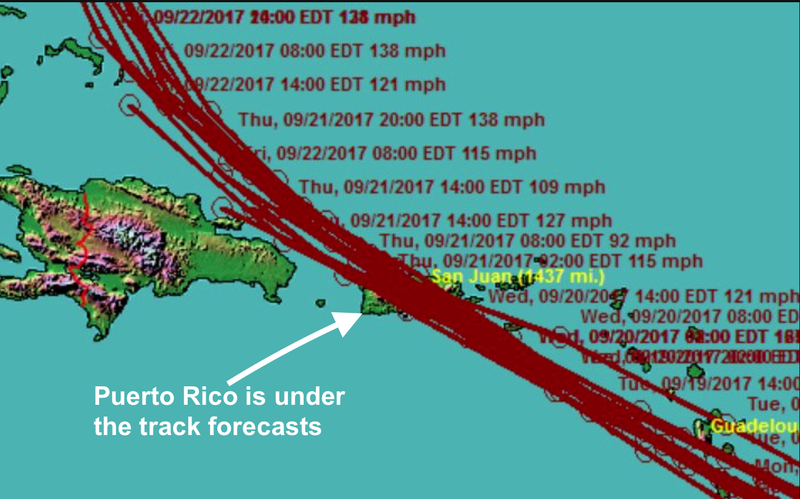 My friend, John Morales, has already put together a composite image of the four days of warning for Puerto Rico. As John points out, the National Hurricane Center issued 17 forecasts, beginning four days in advance, all informing Puerto Rico the Maria was going pass over the island. Sixteen of those predicted it to be a "major hurricane" when it did. This blog forecast the following the day before it hit: "severe to catastrophic damage." Even though it is my opinion there is lots of blame to go around, the politicking, rudeness, and grandstanding needs to cease. Having examined the aftermath of many hurricanes and other disasters, it is my opinion that President Trump, regardless of the political backlash that will occur*, needs to declare martial law for a year. He needs to mobilize several states' National Guards immediately and get them on the ground. I don't like this for a number of other reasons but it is the option that will save the most lives. And, if there was ever a situation that calls for a National Disaster Review Board, this is it. I recommend donating to a charity other than the Red Cross, offering to go to PR to assist, or doing something constructive. Please stop posting divisive and non-constructive items on social media. * By having the military overrule civilian authorities, Mr. Trump will be called a "dictator," enemy of democracy, etc. ADDITION: Here is an example of how bad things are getting in case you have (mercifully) not been online. The NYT's Paul Krugman sticks his foot in it again. 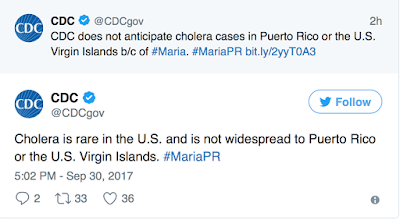 The CDC (hours later) sets things straight.